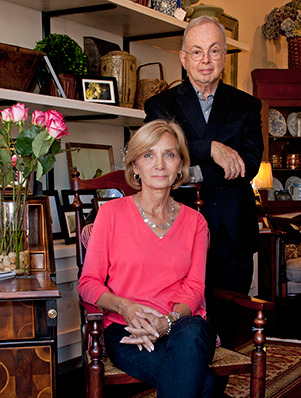 Anne Stokes and C. Larry Horne worked together as young designers at the renown home furnishings company, W and J Sloane, Inc. in Washington, DC. in the beginning of their careers in the early 1970's. Anne went on to the commercial design field with Builders Design and Leasing, Inc. in Gaithersburg, MD. where she designed model homes and served as the Vice President of Design. Anne won many awards for her outstanding design work for model homes and sales offices for builders throughout Eastern United States. Larry founded his own interior design firm in 1982, and designed palaces, homes, hotels, and high end commercial interiors throughout the United States, Europe and the Middle East. Anne joined Horne International Designs, Inc. in 2000 and together Anne and Larry designed residential and commercial interiors winning many design awards from the American Institute of Interior Designers, and featured in magazines such as Veranda and Architectural Digest. In 2012, The Town and Country Collection was established as an avocation displaying the talents and expertise of their over 40 years of experience in the interior design field.